At your initial appointment, digital x-rays will be taken of all your remaining teeth if current x-rays are not available. A dental CT scan might be needed if a more in-depth analysis is required to plan your treatment. Intra-oral photographs are often taken to relay information to the referring doctors and laboratory technicians, and to help you the patient visualize the details of your case. A traditional x-ray is 2 dimensional and much of the case specifics can be determined using them. They are essential in diagnosing your periodontal and dental needs. They help us accurately diagnose your general condition and formulate the necessary steps in getting you back to health. CT Scans and Cone Beam Imaging systems generate 3D, high definition x-rays with an additional x-ray and it can be done within seconds. These scans allow us to quickly assess your dental needs in more detail. The health and safety of our patients is our highest priority, which is why we utilize a cone beam imaging. It is important to us that our patients receive the most advanced care possible. Such advanced technology allows us to minimize pain and speed healing! Many patients struggle to understand why they need complicated dental procedures when they aren’t experiencing any pain or see no visual evidence that the procedure is needed. 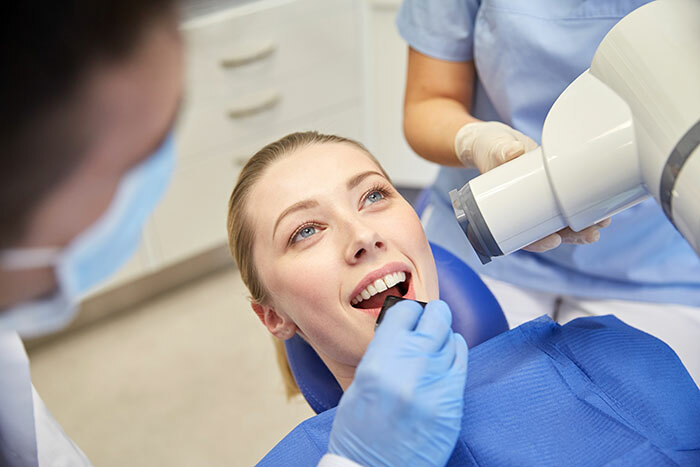 Intraoral cameras allow patients to see their mouths in real-time rather than being shown difficult-to-understand x-rays or listening to the explanation of the dentist. Instead, patients can see the doctor’s diagnosis with their own eyes. Intraoral cameras are roughly the same size as a pen and are fitted with a camera and light. The camera then transmits the images to a computer screen or television monitor. You’ll be able to see a fractured tooth, abscess, or cavity immediately. In the case of the intraoral camera, a picture may be worth more than a thousand words! This video provides an overview of how your doctor can use CBCT technology to create a 3-D image of your head and face to assist with diagnosing dental issues and planning treatment.